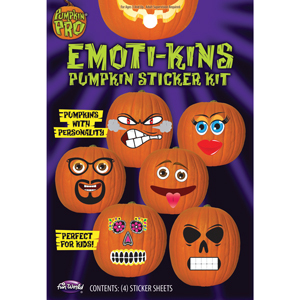 • Pumpkins with emotions! Goofy, grumpy, serious, scary, pumpkins have feelings too. • Kit contains 4 stickers sheets for mix and match faces. • Packed 12 per case, $3.15 each.